Sixties style icon and Rolling Stone muse Anita Pallenberg has passed away at the age of 73. On meeting The Rolling Stones in the Sixties, the German-Italian model and actress initially became the girlfriend of Brian Jones but subsequently had a 12-year relationship with Keith Richards, having three children with him before they separated in 1980. 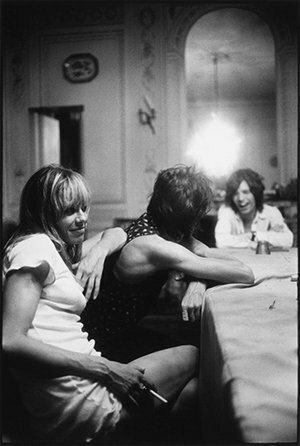 During her time with the Stones, Pallenberg became a muse for the band. She provided backing vocals for �Sympathy for the Devil� and Mick Jagger was said to have remixed tracks on the band�s 1968 album Beggars Banquet based on her feedback. Pallenberg starred in several films including Barbarella and Candy and alongside Mick Jagger in the cult film Performance, and always maintained strong ties to the fashion industry, gaining a fashion design degree from Central Saint Martins in the Nineties. Genesis is honoured to count Pallenberg among the contributors to two of our most sought-after titles, Blinds and Shutters and Exile.